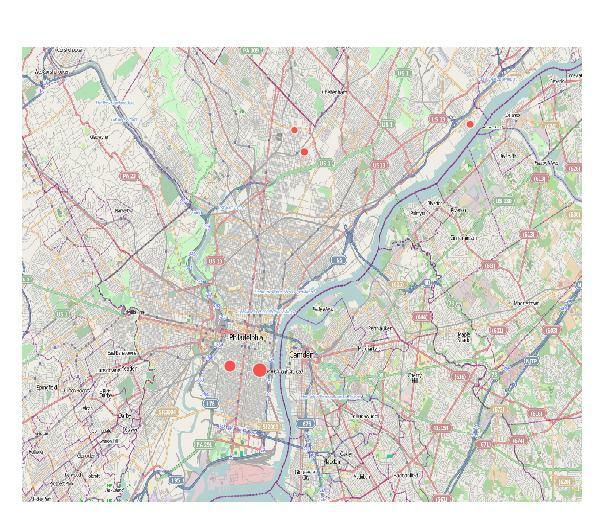 Fun with geocoding and mapping in JGR – NERDS RULE! For a recent project I had to do some mapping of addresses, but I didn’t have there lat/lons do use the Deducer and DeducerSpatial packages in R JGR. After frustrating myself trying to adapt this code from stackoverflow.com, I found a much easier way of geocoding using the dismo and XML packages in R.
← Converting cross sectional data with dates to weekly averages in R.